Blog for the Brighton Craftaganza Crew! Oh my goodness, we’ve surpassed ourselves this month!!! 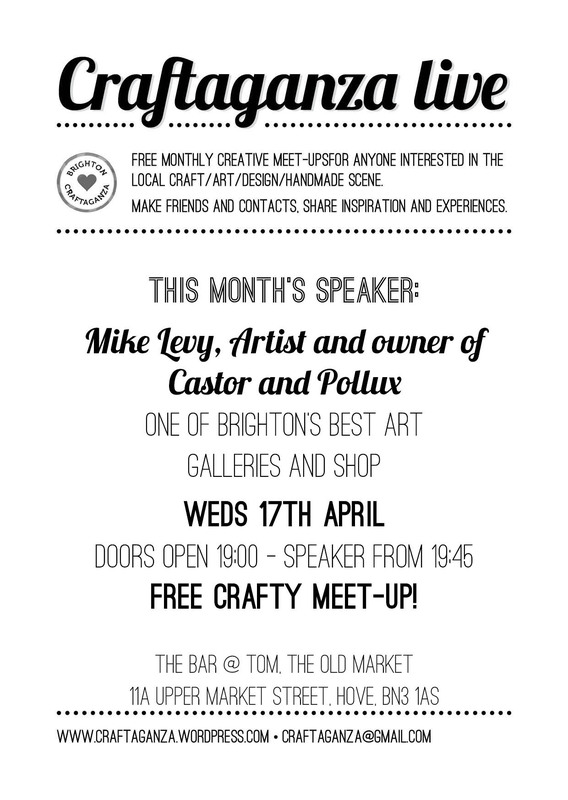 We have the owner of fabulous Brighton based art gallery and shop Castor & Pollux live and direct and available to answer all your questions about approaching galleries and shops!!! If that’s not useful for aspiring designer-makers and artists, then I really don’t know what is! 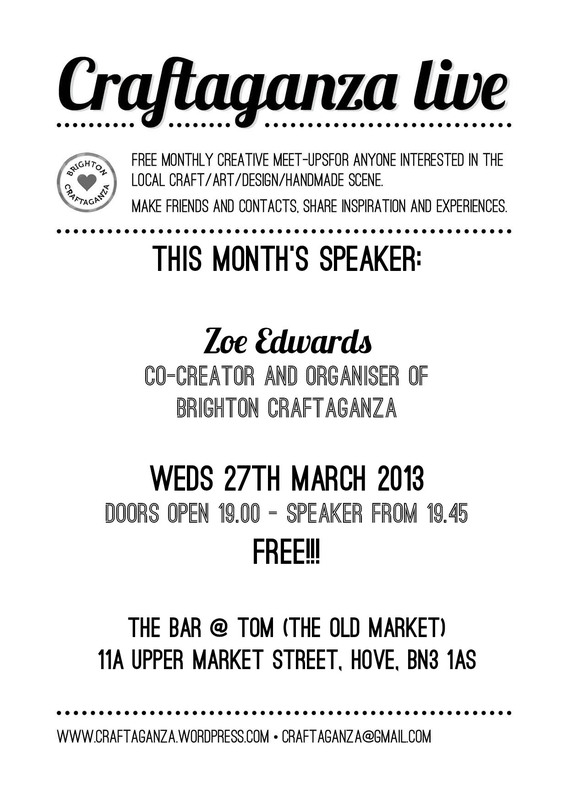 Our next FREE crafty meet up is nearly upon us! 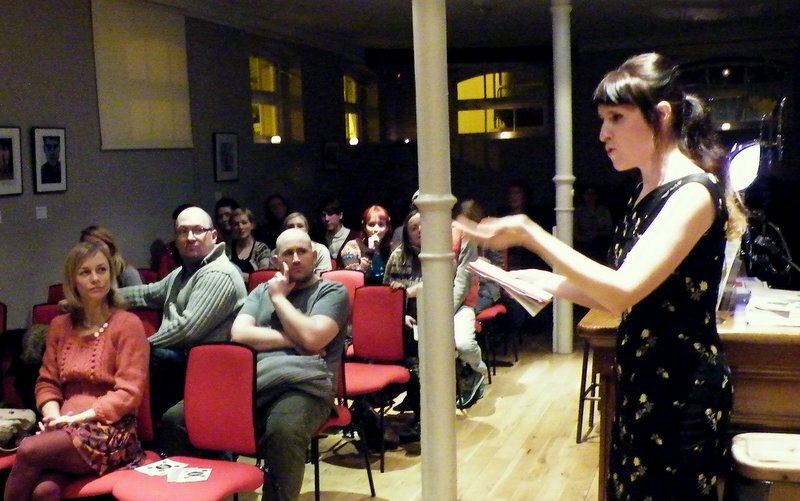 This month the speaker will be a local creative-type who is pretty close to home! Brighton Craftaganza’s very own co-creator and organiser Zoe Edwards. She will be talking about the process of setting up a craft market, its evolution and its future, as well as expanding upon the motivations behind the whole thing and how it relates to the local craft scene. Come down to The Old Market on Weds 27th March. The doors open at 7pm and the speaker will start at 7.45pm. Grab a drink and have a natter. Hope to see you there! 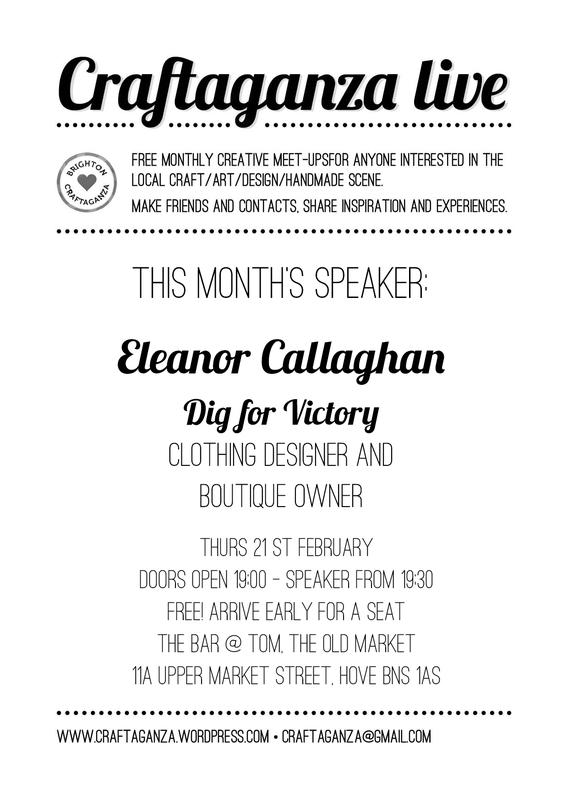 I’m so excited that Eleanor Callaghan, Dig for Victory clothing designer and boutique owner has agreed to be our speaker at the next Craftaganza Live! 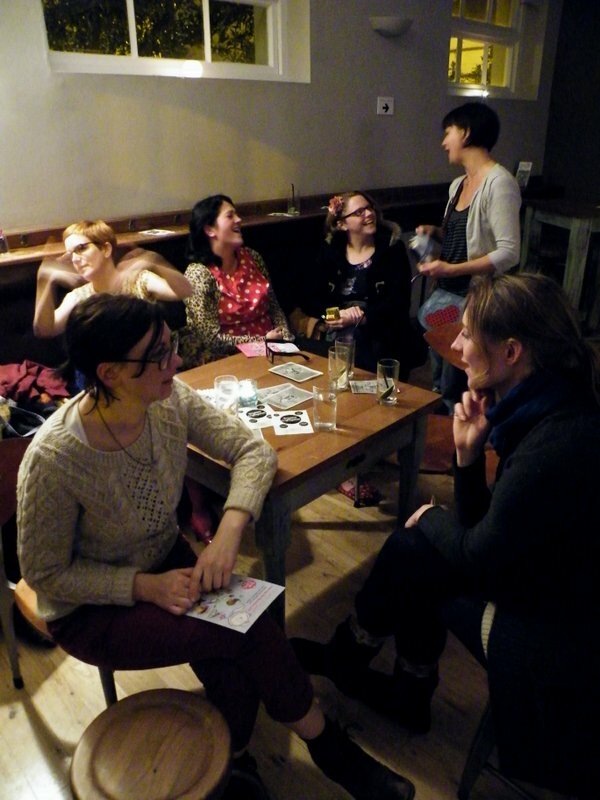 What a way to start the new year’s free crafty meet-ups/talks. Miniclick-aganza!!! Free Xmas shindig tomorrow night!!!! Craftaganza Live are co-hosting a free Christmas party along with the Miniclick Photography talks crew! 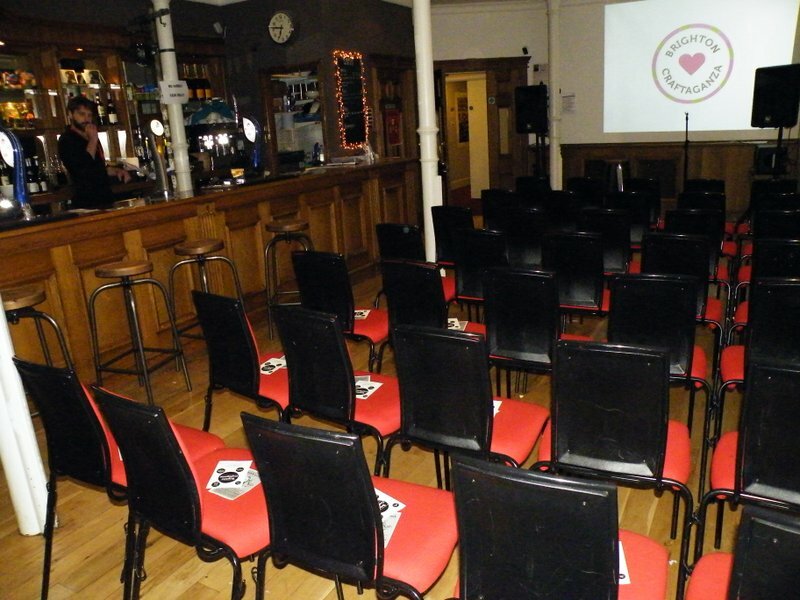 It’s taking place at the Old Market, doors open at 7pm, and we have a whole host of awesome funny things up our sleeves including live music, charity raffle and funny festive talks! Come down and join the festive fun! 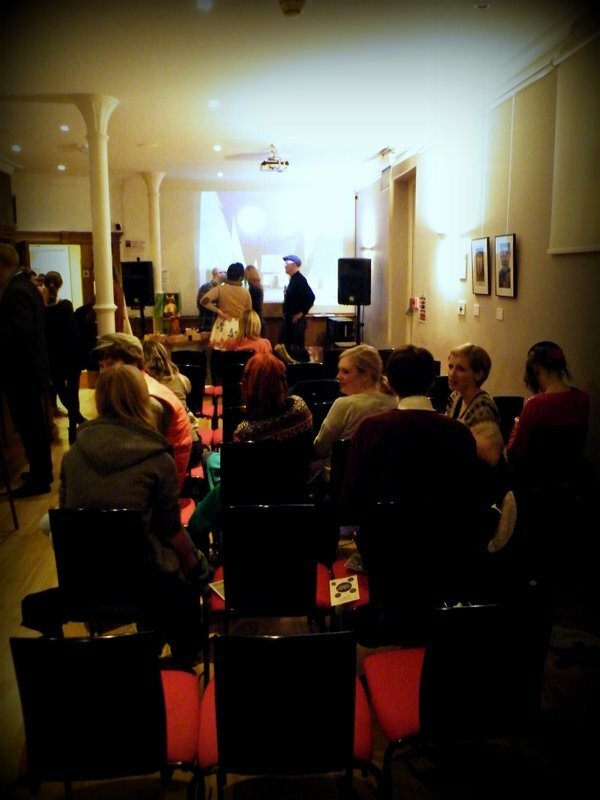 Last Wednesday saw our second Craftaganza Live free creative meet-up and talk at The Old Market. 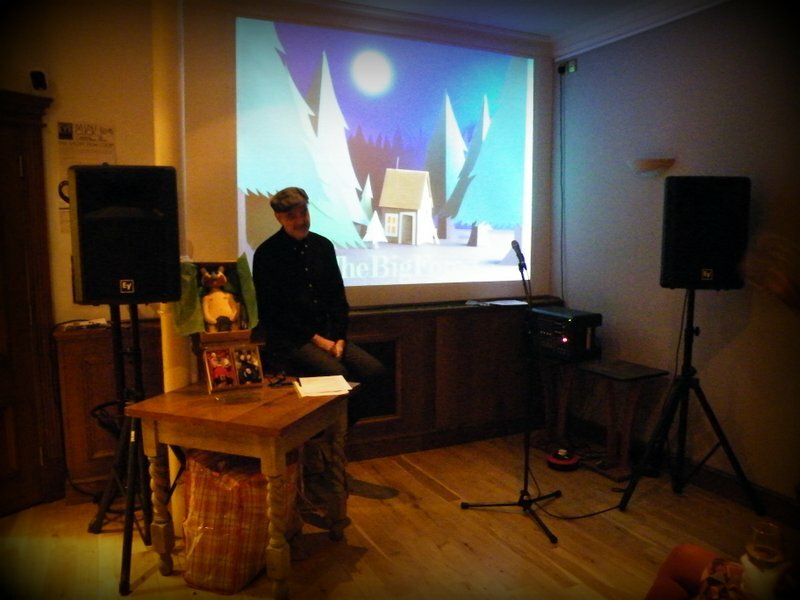 We were very lucky to have a duo of creative talent care of TheBigForest to come and address the attendees. Makers of delightful, characterful and collectable bears with an inimitable style, they are also well versed in social media and traditional press. With lots of experience of running a creative business , they were very open and happy to share with us their triumphs and pitfalls as they proceed towards making TheBigForest a sustainable business. 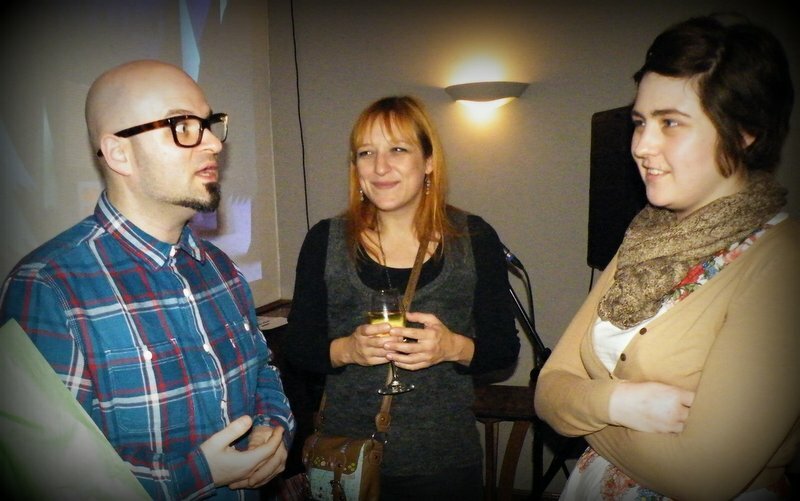 Sarah (pictured above with Michael from TheBigForest) is the a main organiser of these monthly events. She did another wonderful job co-ordinating the speakers, the venue and all the technical aspects (microphones, slide show, lighting, music…). 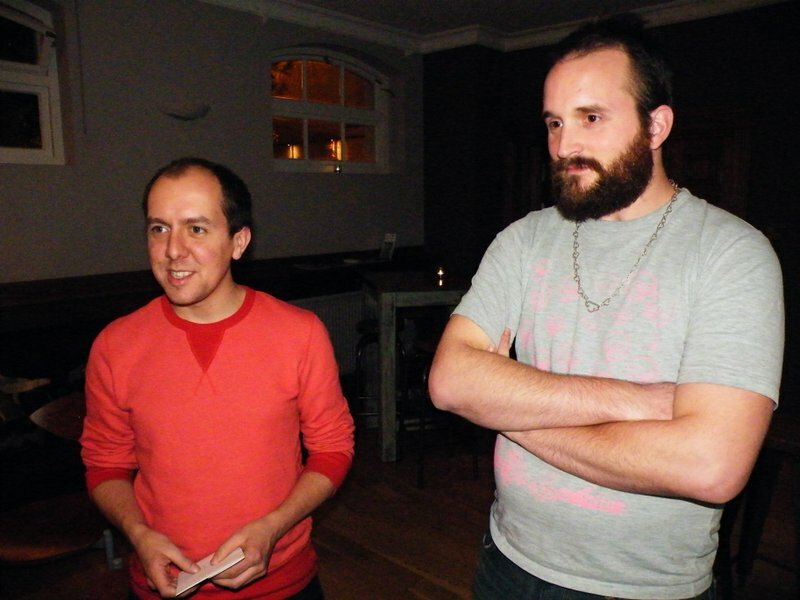 We had two of major players in Brighton’s vibrant photographic scene in attendance: Mini-click Jim and Lomokev! 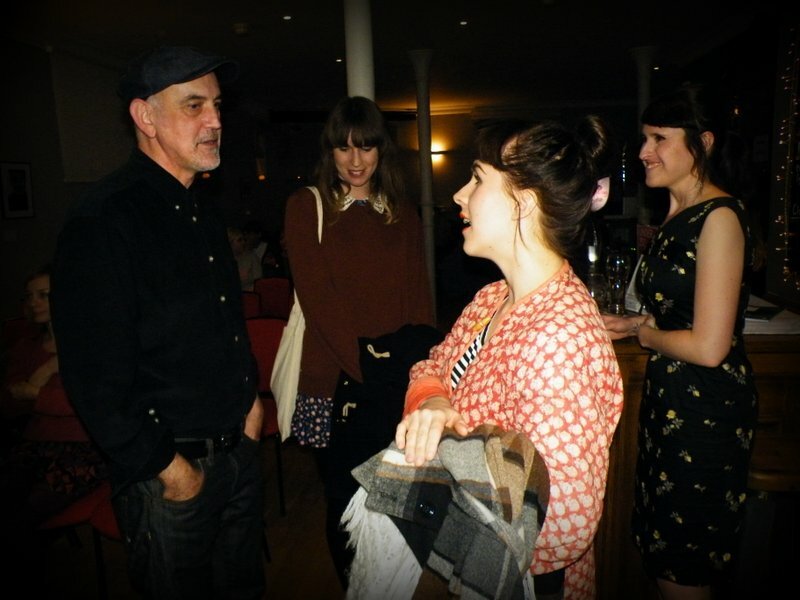 Sarah and me (pictured above) were determined not to be so nervous speaking in public this time! I found a couple of glasses of wine helped me feel more confident before my time to speak came round! Show time! TheBigForest had carefully prepared an excellent slide show of images to illustrate the talk Michael gave. The images reflected the complete journey the brand has been on as well as their visual and business-based inspiration points. They brought with them some examples of their products and explained the different ranges they create. When the Q & A section came, I had a lot to ask Michael! And after the talk, TheBigForest (Benjamin pictured above on the left) stuck around to chat with the attendees so they could find out more! 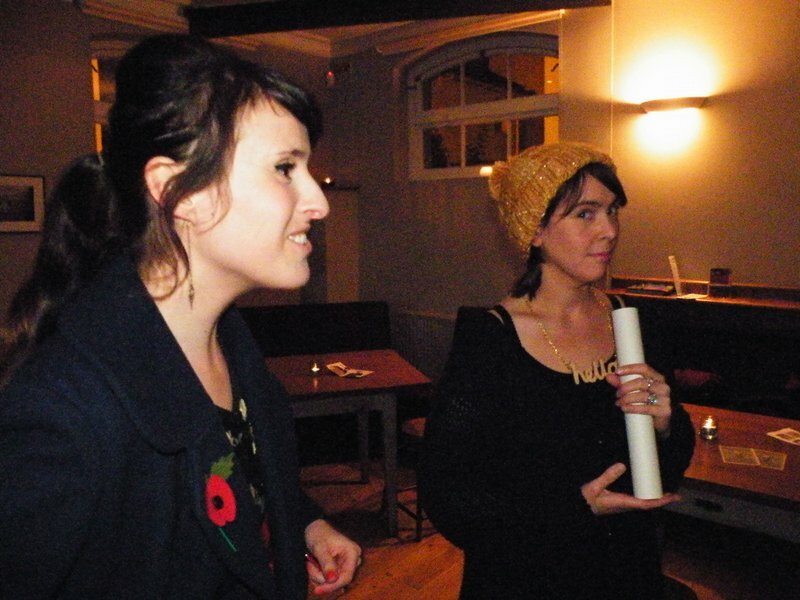 The speakers from our first Craftaganza Live, Amy and Claire from Super+Super HQ (pictured above) were in attendance. I think they found listening much less stressful than speaking! 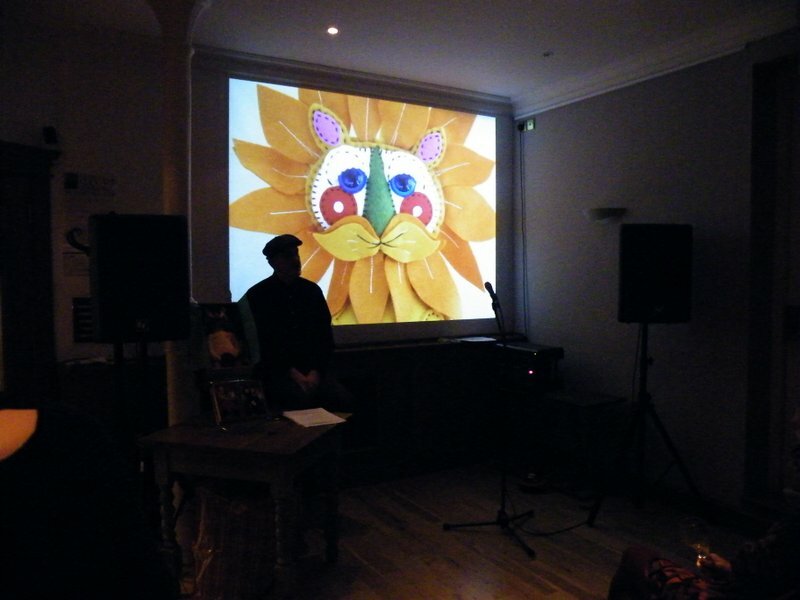 Thanks to absolutely everyone who came along last Wednesday. Sarah and I really hope you enjoyed the evening. 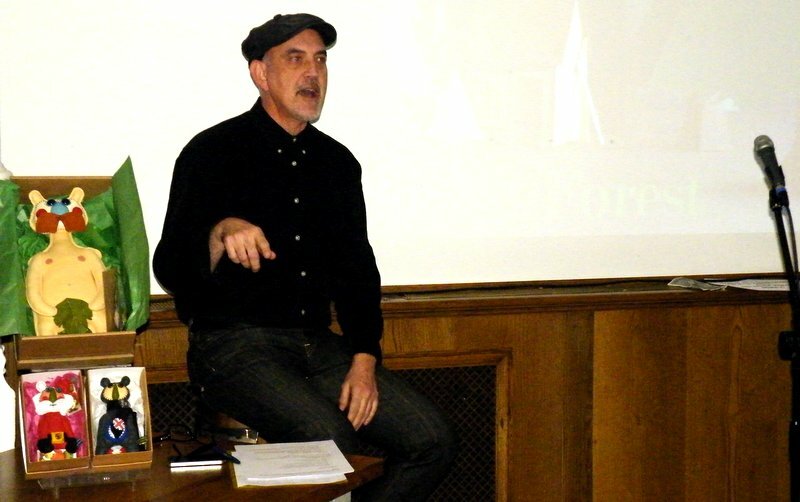 And of course an ENORMOUS thank you to TheBigForest for their inspirational and thought-provoking talk. We really couldn’t have hoped for a more entertaining and enlightening presentation. Those guys have really set the bar high for future speakers! Don’t Forget! 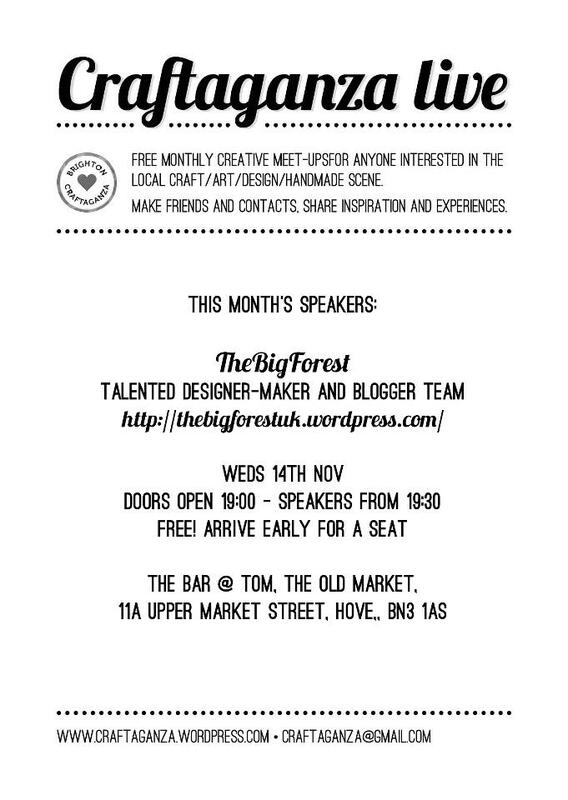 Craftaganza Live with TheBigForest this Weds!!!!! Sat 3rd & Sun 4th December 2016. For full details about the dates or to be added to either our visitors or sellers mailing lists, please email: craftaganza (at) gmail (dot) com. If you would like to be added to our potential sellers mailing list, please include a link to your online shop/Etsy page/website or attach images of your work. Thanks, looking forward to hearing from you! Brighton Craftaganza - your favourite regular craft market where designers & makers in and around Brighton sell their creations! Stay tuned for updates about the latest market, to visit or even to sell. Brighton Craftaganza Christmas Craft Market: THIS WEEKEND!! !